Zhang Wudi, male, born in Feb. 1965, undergraduate student graduated from Department of Chemistry of Yunnan University, a second grade professor and doctoral supervisor in Department of Energy & Environmental Science College of Yunnan Normal University, director in Yunnan Research Center of Biogas Engineering and Technology, Vice director in Research Centre of Bio-energy Sustainable of Development & Utilization of Education of Ministry, a young & middle-aged academic and technological leader, the first batch member of international science and technology correspondent in Yunnan, the first batch member of scientific research station experts in Yunnan, the executive member of the council of Yunnan Solar Energy Association, the executive member of the council of China Biogas Society, technical database expert, vice chairman of the 8th China Biogas Society, the expert group member of World Esch Organization. 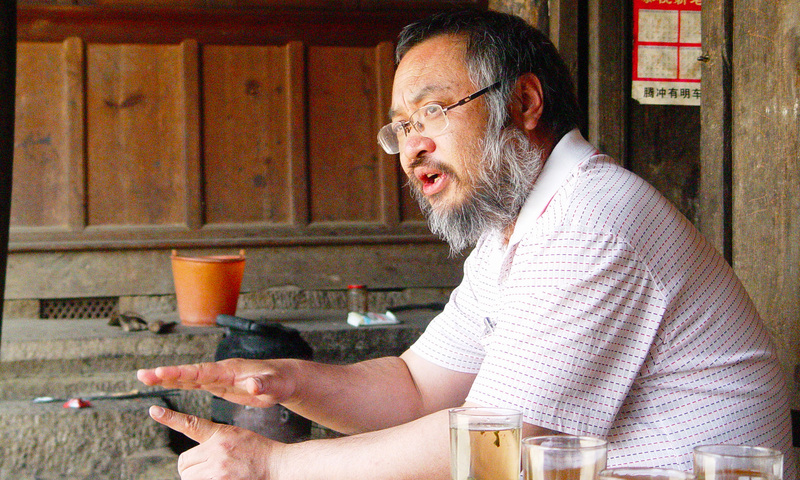 Awarded the First Prize of Wu Da-guan research grants in 2002, National Model Teacher in 2004, Teacher’ Advanced Ethnics personality in 2006, Provincial Governmental Special Allowance in 2007, Excellent Science & Technology Correspondent of UNDP Project in 2008, National Excellent Science & Technology Correspondent in 2009, Provincial Eleventh Five-Year Advanced Worker, Outstanding Communist Party Member, National Educational Models in 2011, the 9th Communist Party Congress representative, the most beautiful Communist Party Member by the Organization Department of the Central Committee of the CPC and the most beautiful teacher by Yunnan Provincial Party Committee propaganda department in 2014, and National Advanced Worker in April 2015. Has been undertaken above 80 research task items focused on biomass energy research, techniques utilization, and teaching since 1985. About 10 provincial appraisal results have been completed and 5 industrialization productions have been transferred. More than 600 academic papers have been issued and 14 books have been published. Has participated 4 textbooks of national agricultural colleges and universities. Has been authorized 16 utility model patents, 10 inventive patents, and 3 software copyrights. Has been awarded various encouragements such as Golden Medal of 6th National Inventive Patent, Silver Medal of 6th National Innovative Patent, the 1st Prize, 2nd and 3rd of Yunnan provincial scientific-technical progress respectively, the Golden Medal of national invention exhibition, and the First Prize of Yunnan first staff and workers outstanding technical innovation achievements, Second-class Medal of Provincial Inventive Exhibition and Second-class Medal of Provincial Inventive and Skillful Competition of 2nd “Challenge Cup”. Popularized tens of thousands household biogas digester domestic and abroad. Set up more than 10 kinds of biogas eco-agricultural model and over 50 large, medium-sized biogas projects. Biodiesel preparation technology and biogas engineering technology have been granted in different company. Under supervision, more than 50 doctoral and master degree graduate students have finished the bio-energy engineering study. Have demonstrated thousands of rural technicians and rural energy technological training, which welcomed by local farmer and government. Organized more than 100 trainees from 20 countries of the International Training Workshop on Biogas Technology dedicated to developing Countries, supported by Chinese National Ministry of Science and Technology Government. The International Training Program was held for five year-courses. Gave lectures for three times in Tunisia, constructed anaerobic digestion lab of Tunisia ministry of agriculture, carried at Tunisia national biogas strategy planning (2005-2021). Our techniques and products for rural energy utilization also have been popularized to Vietnam, Myanmar, Azerbaijan, Thailand, Bangladesh, Laos, Tunisia, Rwanda, and Uganda.